Fishing is great. Getting paid to fish? That’s even better. 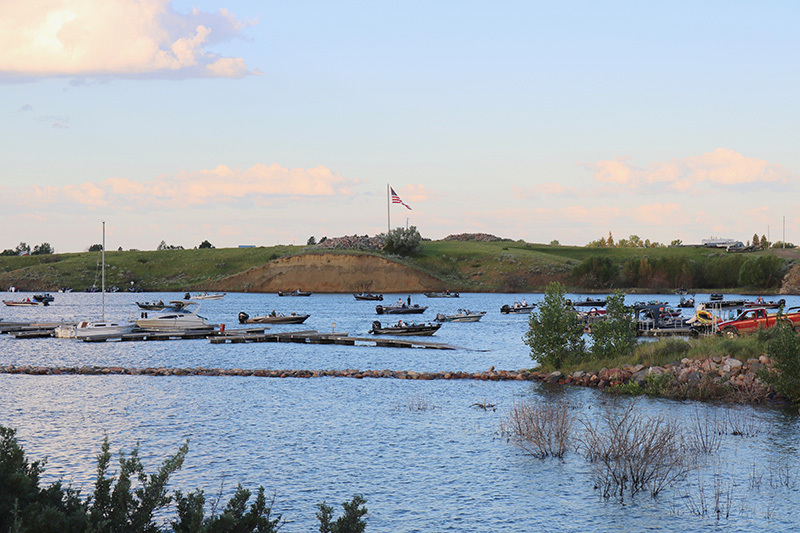 On the second weekend of July, hundreds of anglers from across the country converge on Fort Peck Reservoir to compete in Montana’s most lucrative walleye tournament, the Montana Governor’s Cup. Here, a “big fish” can earn you big bucks—upwards of $10,000 for the first place team. But as any local will tell you, the prize-winning fishermen aren’t the weekend’s only victors. “The economic impact to our area is huge,” says Danelle Murch of the Glasgow Area Chamber of Commerce & Agriculture. Since 1987, the “Gov Cup” has served as the Chamber’s largest annual revenue source, all the while highlighting Fort Peck as a quality walleye fishery and drumming up tourism for the region. The tournament was primarily fished by locals in the early years, but today, roughly 90 percent of contestants live outside Valley County. Approximately 60 percent live outside the Treasure State altogether. On Saturday during the Gov Cup, a youth fishing tournament is held at the Kiwanis Youth Ponds. It’s open to both local kids and visitors, and it’s free to enter. Families may also want to explore the Fort Peck Interpretive Center, see a show at the Fort Peck Theatre, or go on a self-guided wildlife tour. For those who prefer to stay close to the action of the tournament, there’s plenty to do on Fort Peck Reservoir. As the fifth largest artificial lake in the country, Fort Peck covers a vast area, allowing non-competitors to swim, kayak, paddleboard, and even fish without disrupting the tournament.